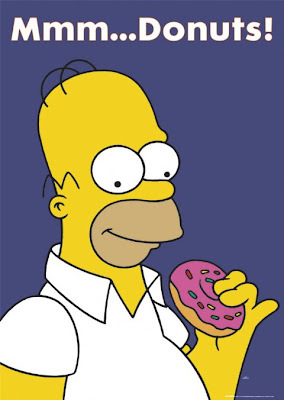 Tomorrow (June 5th) is National Donut Day. If you head on over to your local Krispy Kreme you will be able to receive a free donut. Fine print: one donut per customer. Dunkin' Donuts is also having a give away of their own in observation of this yummy day. Purchase any beverage and receive a free donut while supplies last. Coffee and a donut makes a great combination at any time of the day. Don't be too hard on me..